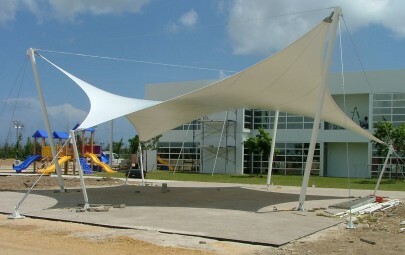 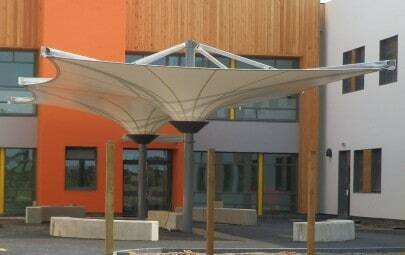 Tensile fabric lends itself to the school environment as it provides a whole range of options and the ability to be creative and produce something unique to each school or student set. 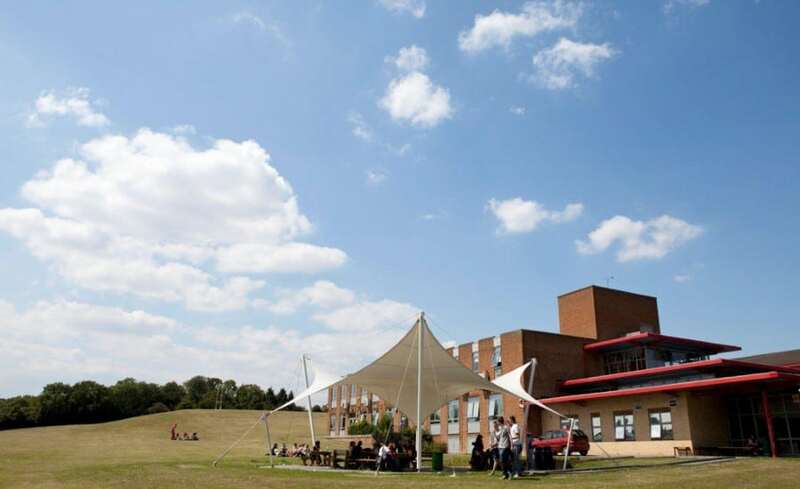 When St Mary’s Sixth Form College decided to create an outdoor learning space it seemed the obvious building method to use. 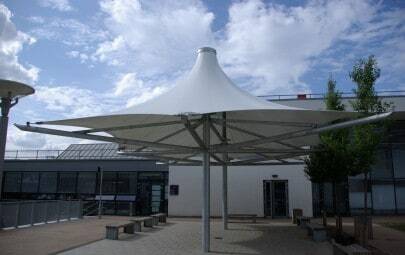 Having worked with us on projects before, Graham Rivers Architects approached Architen Landrell to design, manufacture and install a tensile canopy to create outdoor learning. 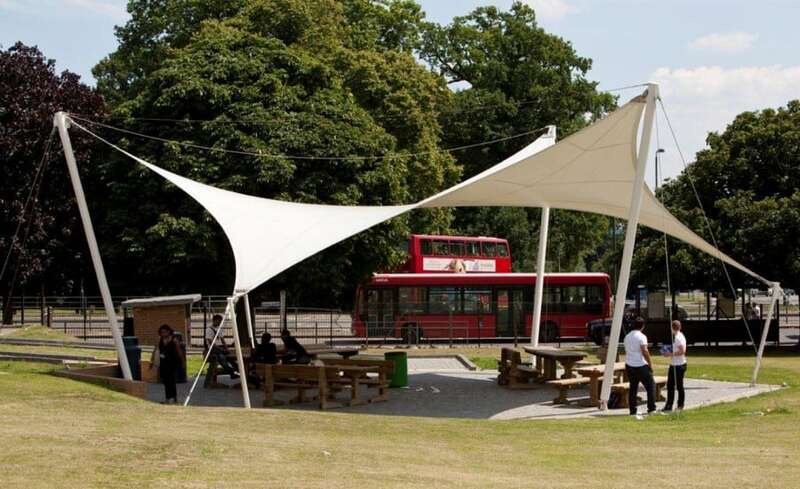 The 15m Kalahari canopy, one of our standard products, was made out of PVC polyester fabric which is ideal for outdoor spaces and its flexible qualities means that the design team could be as creative as they liked. 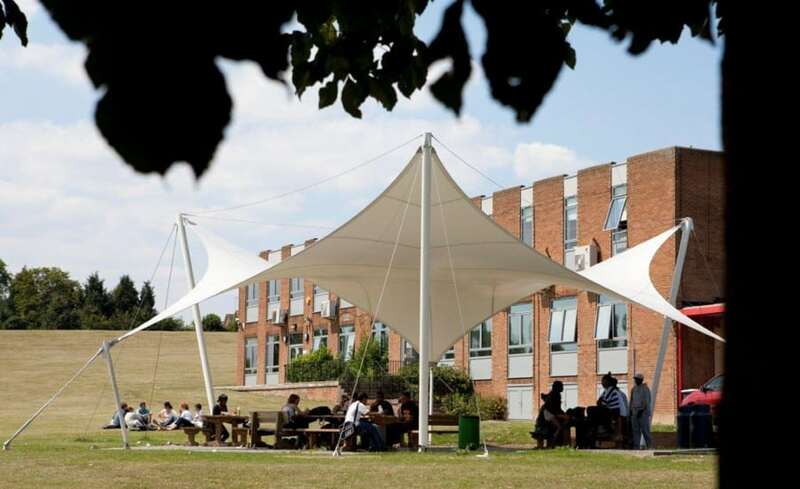 The Kalahari structure is one of our more popular standard canopies and provides a large sheltered area for students to study outside, it has been successfully used at Christ the King Sixth Form College and the Cayman Islands International School.